Why has nobody offered an answer to this query. I'm surprised because all my other queries have been answered. Have I put my question in the wrong slot? Text encoding does not match . . . . . . . is usually when mix of ANSI and Unicode formatting occurs. It still works even thought it flags up the "error". 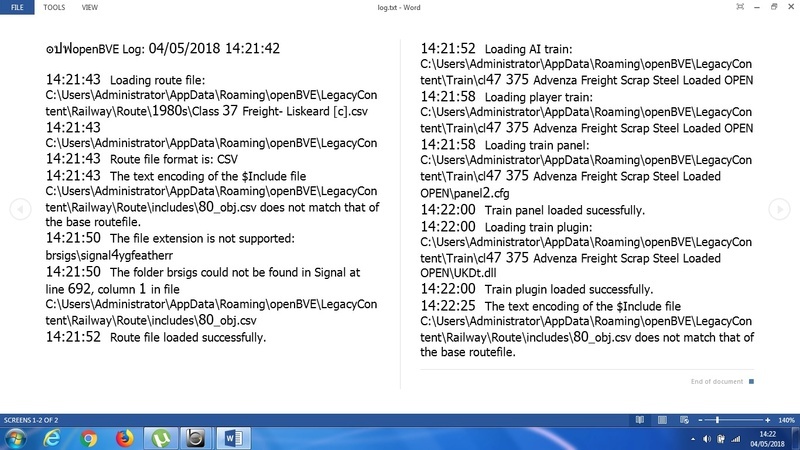 I recently had to go through 40 routefiles fixing this - it's only since early this year that it has mattered and it's because of the newer program versions picking it up. Missing BRSigs folder is common problem, damn things are never where you want them, which is why I integrated my own sigs into CTS routes. Makes them more "eejit proof" Before I did it about 3 yrs ago I was getting occasional complaints about "missing signals". Never have that trouble any more. I found a copy of this route lurking in a stray folder on my working PC. 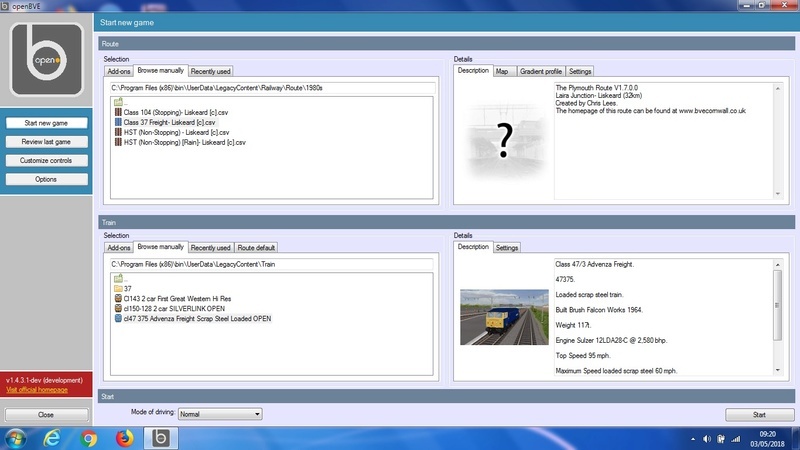 \Route\Plymouth- St Austell Demo\includes\80_obj.csv does not match that of the base routefile. Many thanks for your messages. I can't say I understand all you say, especially the technical bits, but it is nice to get a response to my original query. Incidentally, I installed the earlier version of 'Plymouth Demo' (signals and all!) 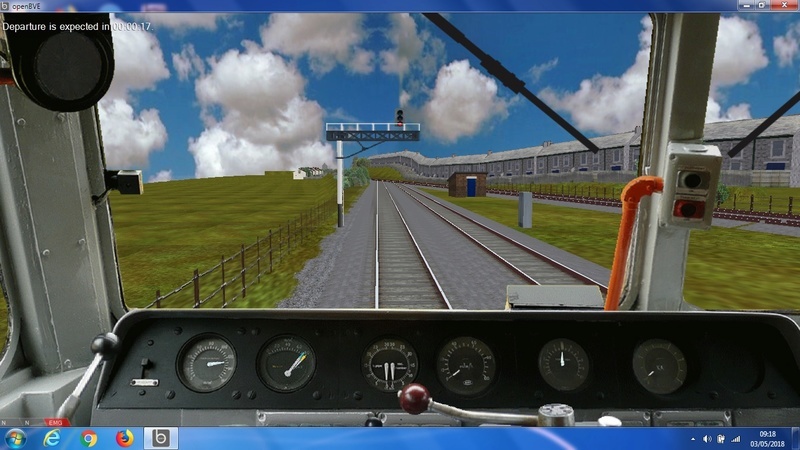 and tried the freight 'Laira to Liskeard' (1980); the signal from Laira Yard still remained at danger but the graphics were fine in this version (no buildings suspended in the air! ).